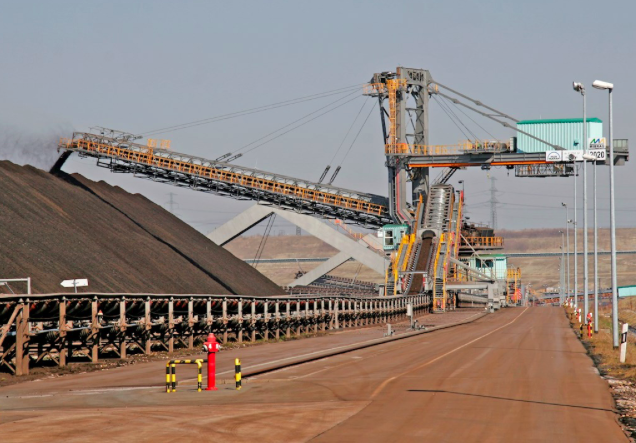 The new Ability Stockyard Management System from ABB enables collaborative operation by connecting all available information and process data to optimise bulk material handling terminals and stockyards of coal-fired power plants, steel plants or mines. Offering material tracking and quality management, the new system increases the efficiency of stockyards in connecting consecutive steps in complete materials transportation chains. It enables integration in production planning, providing real time information on handled material and supports the management of one or multiple inputs and outputs of different material qualities, storage, mixing and blending. It is a configurable system that can be used to digitalise the complete material handling chain. The material flow can be modelled across all belt conveyors and transportation equipment with material properties and quality information via automated data interfaces. Features include a calculated stacking model built up according to the tracked material and acting as a 'digital twin' of the stockyard. This provides the operator with an inventory overview at any time, without the need of an extra survey. All data can be used for operational optimisation such as efficient space utilisation in a yard, better planning and scheduling, or more accurate mixing and blending processes.